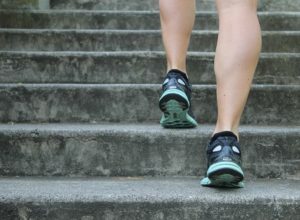 Moderate exercise may not only be safe for patients with hypertrophic cardiomyopathy, the heart disease most commonly associated with sudden death in athletes, but could provide important health benefits as well, according to a study published in JAMA today. The general medical consensus is that people with HCM shouldn’t participate in competitive sports, in an effort to prevent triggering heart arrhythmias that can result in sudden cardiac arrest or even death. But whether recreational exercise is safe has been unknown. Stanford researchers collaborated with colleagues at the University of Michigan and the VA Palo Alto Health Care System for the new study, which is also being presented today at the American College of Cardiology’s annual scientific session. The researchers studied 136 patients with HCM, which is one of the most common cardiac diseases, between the ages of 18 and 80. For 16 weeks, patients were randomized to either a group told to continue their usual level of exercise or a group who were guided through a moderate exercise regime that increased as the study progressed. The most common types of exercise were walking, jogging/running, swimming, elliptical use and cycling. Results showed a small but statistically significant increase in exercise capacity in those who exercised. There were no occurrences of sustained arrhythmia, heart attack or death in either group. This is an important first step toward potential changes in exercise recommendations for this group of patients, according to Ashley. Co-author Matthew Wheeler, MD, Stanford clinical assistant professor, pointed out that HCM patients are more at risk of sudden death from coronary artery disease as they age. “We don’t want them to get coronary artery disease because they are not exercising at all,” he said. "We have those images entrenched in our brains of young, healthy athletes collapsing suddenly in the middle of a competition, and these devastating events trigger a visceral response. But by limiting exercise, we’re creating another set of health problems that stem from obesity, like coronary heart disease, diabetes, obstructive sleep apnea, depression and anxiety."